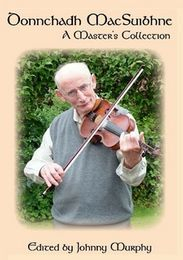 This is a tribute to one of Ulster's master fiddlers and features the original manuscripts of his wide collection of fiddle tunes. These were inherited by Johnny Murphy, who, in the spirit of Denis Sweeney himself, wanted to preserve and distribute this fine collection of the reditions of classic tunes as rendered by such great traditional musicians as Coleman, Morrison, Killoran and Gillespie. No one interested in traditional Irish music should be without it. Richard Hayward made a major though underestimated contribution to the cultural life of Ireland through his acting, recordings and films. His travel writings embrace the whole of Ireland and remain relevant today. This is apparent in his interest in local history and archaeology and also his enthusiasm and respect for the Irish language, place names, folklore and dialects. None of this he found incompatible with his interest in Orangeism and his membership of the Orange order, thus placing him in the long tradition of Irishmen who could love and respect their county, without denigrating the traditions of others. Get this book if you love Stanford Lough, archaeology or biking - or just some of the above. This is a very readable account of a spiritual journey through beautiful landscape and evocative archeology. Written by a previous Director of archaeological excavations, it is simultaneously scholarly, quirky and fun. No matter how well you know Strangford lough, this book will make you want to know more about it and vow to follow Peter's footsteps (tread marks) through Strangford's history. Away with Words - A collection of Poems by Michael Sands. "What a joy it has been to have discovered this marvellous collection. It represents a bright shaft of welcome sunlight in a wearying world. It is full of joy, hope, intellect and a deep understanding of who we are and the unquestioned importance of hearth, home and music". - Mickey MacConnell, Listowel, Co Kerry. Journalist an song writer. Michael is originally from Newry, Co Down but is now happily at home in the Kingdom of Carey, north Antrim. He is known as a traditional musician, music teacher and singer. This is his first collection of poems but he has previously written a novel, ?Nut Hollow, the Knife and Nefairious?. He is happily married to Catherine and a proud father to Katie and Tóla. This is a reproduction of this classic 1930 publication featuring an illuminating text by editor Bulmer Hobson which outlines some of the most famous aspects of Dublin at the time. It was printed by the influential Kevin J. Kenny and contains period advertisements by some of the major businesses and financial institutions of this capital city of the recently independent State. It also contains wonderful illustrations by such artists as Paul Henry, Maurice McGonigal, Hilda Roberts and Harry Kernoff - to mention but some. An insight into the times for all and a nostalgic journey for many. Cycling the GIRO d'Italia route over 100 years ago. Travel through space and time as you follow the GIRO d'Italia through the lens of "Highways and Byways in Donegal and Antrim". Stephen Gwynn cycled the Antrim Coast route over 100 years ago. Seen through his eyes the scenery and history of the Glens comes alive and enriches the present. Twenty years before the Great Famine, Dutton responded to the question, 'What would become of Ireland's dense population without potatoes” by declaring he would much rather be told what is to become of a population so reliant on them? His survey resulted in a description of the agricultural conditions and practices of Galway in the early Nineteenth Century and arguments for scientifically based improvements. He followed the annalists of Gaelic Ireland by including chronologies of the leading officials of Galway town, as well as of the senior churchmen of the area. This is a book for anyone interested in the social and agricultural history of pre-famine Ireland, and particularly those with local and family connections with County Galway. This classic and well-loved history of Sligo was first published in 1889. Its author, the Rev. Terrence O’Rorke, was born and bred in Sligo. Conscious of how Ireland’s troubled and disrupted history had depleted the country’s records, he set out to salvage what was known, focusing on the reliability of his materials. This resulted in this history which is of importance to anyone interested in Sligo’s past, and - because of the significance of the events played out in that county – an important reference for anyone interested in the history of Ireland. The Ould Lammas Fair, Ballycastle by Margaret Bell has been reprinted from a booklet written in 1966. It contains a new chapter on more recent developments and outlines the fair's ancient origins in the Celtic Feast of Lunasa - an origin it shares with many other festivals and fairs in Ireland. 'Maghtochair' was the pseudonym of 'Derry Journal' journalist Michael Harkin who published this book in 1867 in order to record and preserve the fast vanishing traditions of this well loved peninsula before the old social order and the Gaelic language disappeared. The book sweeps through Inishowen’s ancient, medieval and modern history. We hear of its mythical past as well as its topography and archaeology. . To this story he adds descriptions of each parish. To this he adds colourful stories of rebels, murders, legends and folklore, along with superstitions which once abounded about them. An 1867 account of all that is historic, picturesque, and beautiful in this grand Lough Corrib region, with its sacred islands, its ancient battle grounds, raths, and tumuli; its splendid ruins of castles and abbeys, written by a man who knows and loves it well. Buy here at 20% discount. Most prices of print books in our Book Shop have been discounted by between 15 and 20%. Book sellers can find lists of retail prices in Stirling and Euro here. Away with Words" by Michael Sands. Get a feel of what it was like to cylce the Antrim coast route of the Giro d'Italia at the end of the 19th Century!! Part Two is an account of cycling the Antrim Costal route over 100 years go.